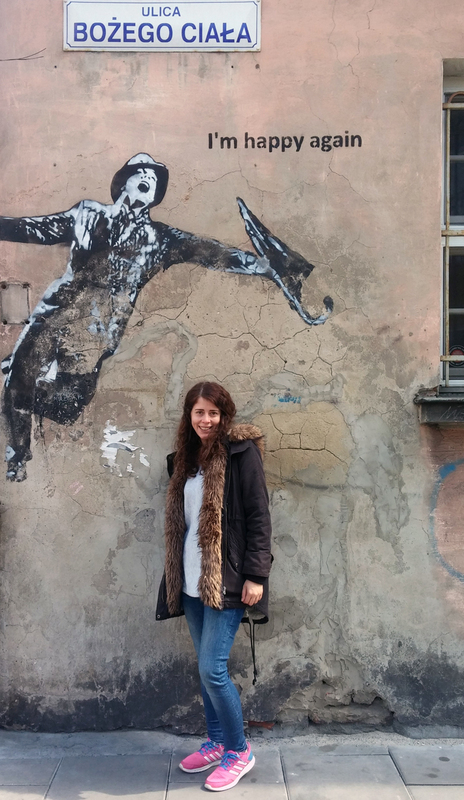 And would you tell me ... is Krakow a fairy tale city? I will not lie to you, nor did I know, nor even suspect this side of the city until I saw it with my eyes. 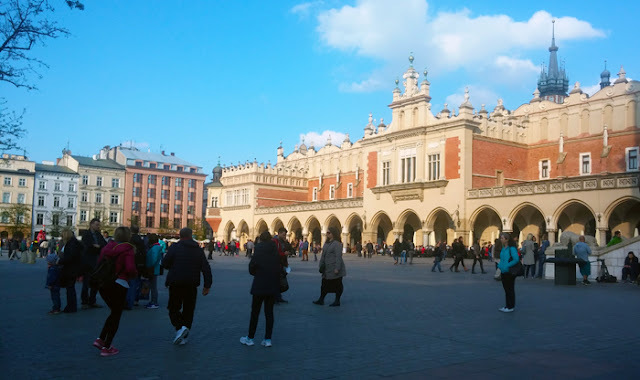 Because until you go to Krakow the only things you know about the city is that it is the second largest city in Poland and that Auschwitz concentration camps are nearby. If you study a little about the history of the city, or if you even better decide to explore it yourself, you will meet dragons, castles, legents and kings. You will wander on cobbled streets, you will hear trumpets sounding in the largest medieval square in Europe and you will see chariots with beautiful horses in the streets instead of cars. 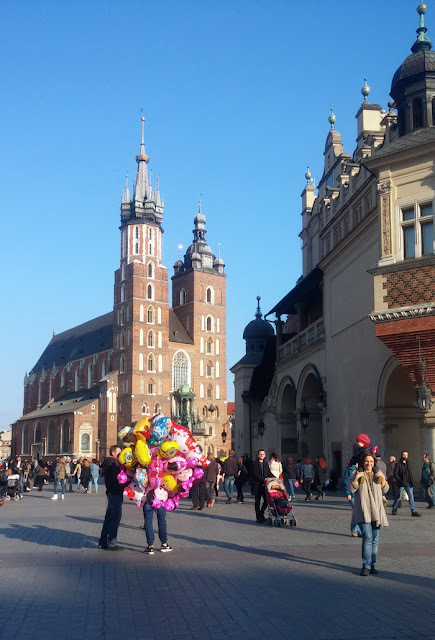 But even if you do not believe in fairy tales, you have to go to Krakow. You have to go because it is a vibrant, friendly and cheap city, with great food and even more greater vodka. A city with beautiful architecture, with many historical sights and visible signs of the World War II. The Royal Road, or Florianska Street as it is officially known, is one of the most beautiful and busy streets in the city. This road starts from the impressive 35-meter-high Florianska gate which was part of the fortification of the city and crosses the old town, passing through the main sights of the historic center of Krakow. Perhaps this is the reason why the kings of the country chose to parade in this street before their coronation. Rynek Glowny, the central square of Krakow is Europe's largest medieval square. Surrounded by beautiful historic buildings including restaurants, cafes and shops. The square is always full of people, food stalls, and wagons that transports tourists to another era. In the center of the square you can see Cloth Hall, a huge building that was previously a hub of international trade between the East and the West, while today there are shops selling souvenirs. On the upper floor of the building there is a museum with paintings and sculptures by Polish artists. If you are in the square on Sunday, do not miss the opportunity to visit it as the entrance is free of charge. On the square there is also the Town Hall Tower, the only part of the old city hall that survived after the demolition of the building in 1820. The tower after a strong air in 1703 gained a 55-centimeter gradient which is however not particularly visible. 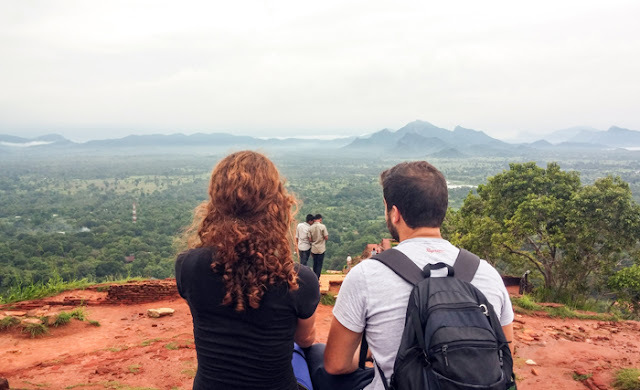 You can also climb to the top and enjoy the panoramic view of the old city from a height of 70 meters, but keep in mind that the stairs are narrow and steep. Among the impressive buildings of the central square, the Gothic St. Mary's Basilica stands out. Built in the 13th century, this temple is famous both for its particular wooden interior and for its two different sized towers. There are many speculations about why the two towers differ, according to the myth that prevails when it was decided to add the towers to the church of St. Mary, the work was assigned to two brothers. During the construction, the older brother saw that his tower was smaller and murdered his brother with a knife. However, on the opening day, the older brother ascended the tower and, using the same knife, committed suicide. Another special feature of this temple is the sound of the trumpet that sounds every hour to honor the trumpeter who was killed by a bullet in the throat while calling the city alarm when the Mongolians intervened. Different from most of the castles found in the rest of Europe, the Bavel Castle consists of several buildings, at the center of which there is a beautiful interior courtyard. 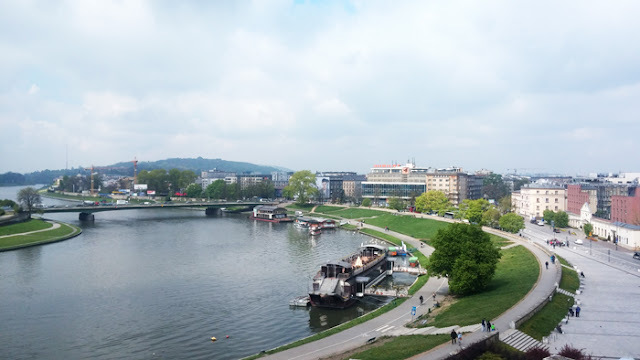 The view from the castle on the Vistula River is wonderful, and also here is where one of the country's top art museums is housed. The Babel Cathedral, where all the kings' coronations were made, is also here, where many of the country's historical figures have been buried. According to a legent, the only inhabitant on the hill of Babel was for many years a dragon, who lived in a cave at the foot of the hill. Until one day, Krak, a Polish prince defeated the dragon and built his palace over the lake where the dragon murdered. At this point today, there is a monument with a dragon. The Jewish Quarter, or Kazimierz, was in the past an independent city. 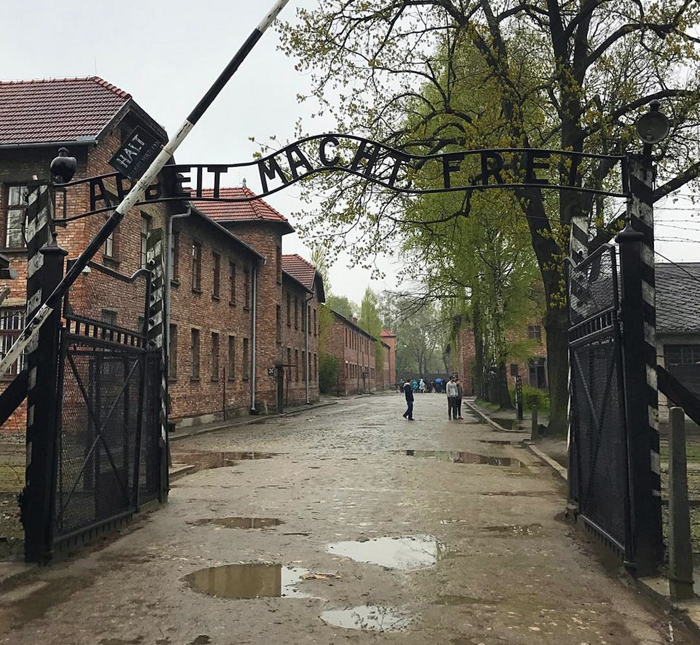 Since the 13th century, Kazimierz has been turned into a Jewish quarter, and when the Nazis entered the city during the World War II, things changed. Today only a few Jews are left in Krakow. Only one of the seven synagogues that existed in the area operates today and another has been operates as a museum. The region became world famous in 1993 when Steven Spielberg filmed the Schindler List here. Today Kazimierz is the most hipster and vibrant area of Krakow with many bars, cafes and restaurants. 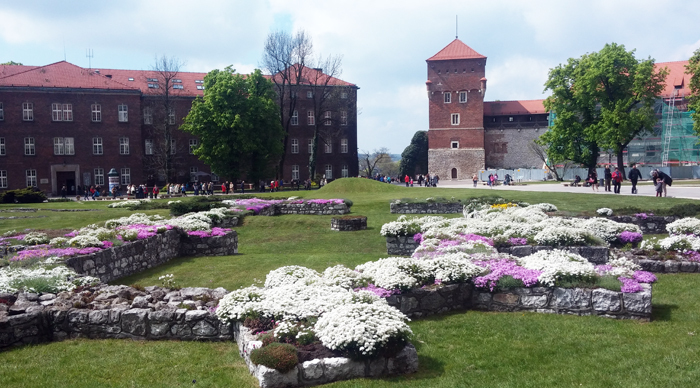 There are two very special and very different places to visit, just a short distance from the city of Krakow. If you go to Krakow you have to visit Auschwitz. The largest Nazis' concentration camp, which is about an hour away from the city of Krakow and in which more than 1 million people have died. I will not say anything more about this monument, firstly because there are not right words to describe something so sad and on the other hand it is not what I want to remember from this otherwise fairy-tale city. The UNESCO World Heritage Site Wieliczka salt mines are located in the city of Wieliczka about 30 minutes away from Krakow. Wieliczka salt mines operated from the 13th century until 2007 and reach a depth of 327 meters and consist of tunnels of a total length of 287 km. 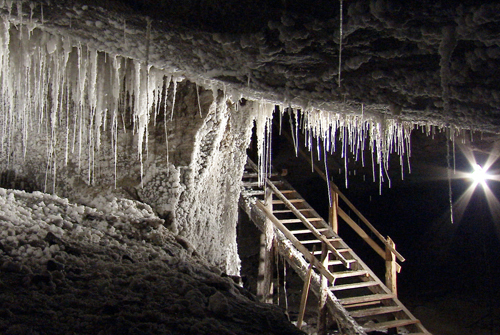 After you get down to 500 steps you will see impressive caves, statues made of salt, even a church whose chandelier is also made of salt. Polish cuisine has received many influences from neighboring Germans and from Russia, with the most popular dishes being pork knuckle, pierogis (pasta stuffed with meat, spinach or mushrooms) and sausages. 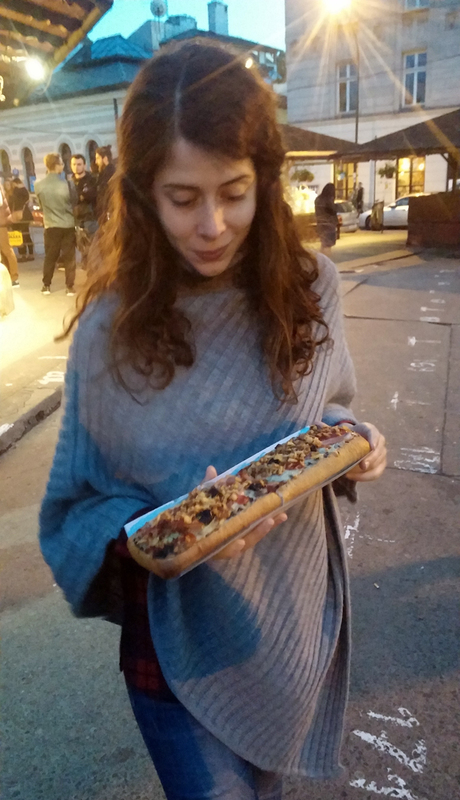 What I tasted in Krakow, however, and did not remind me of anything I've ever eaten in the past was zapiekanka. These are open sandwiches, made of half a baguette in which you put anything you want. 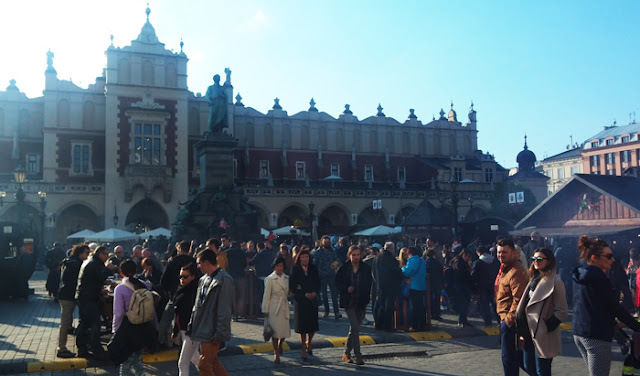 The ideal place to taste zapiekanka is in Okraglak, the round building in the center of Plac Nowy in Kazimierz. Maybe because of the cold weather, maybe due to the Russian influence, Polish love Vodka. And you will love it too, especially if you visit the city during winter. And when I say vodka, I do not mean the simple ordinary vodka that we know. In Krakow they drink a lot. That's why they like to have some variety. You will find vodka in any tastes you can imagine, from chocolate to cinnamon and from strawberry to hazelnut. 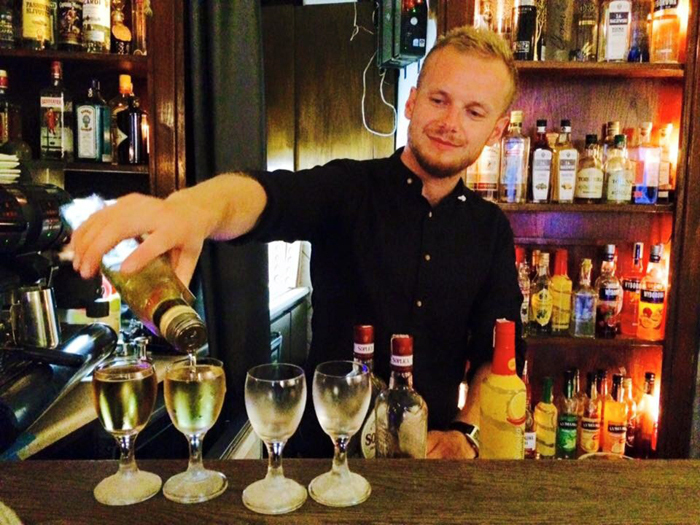 The Wodka Cafe Bar near the central square is the place to drink as much vodka as you can. I literally just landed in krakow as I'm writing this. I grew up just two hours from here and think is a beautiful place. I'm so glad you enjoyed this city. You are right, it is a very beautiful city! You are lucky you grew up nearby! Sounds like an amazing trip you had! Love the photos you took, so beautiful! I wish I could visit there sometime. Thank you, it was really a very nice trip. I wish you to visit Krakow soon! I spent 4 months in Poland and it is one of the best countries I've been to. I found the people to be really friendly. Also the country was reasonably cheap in comparison to a some Western European countries. I'd thoroughly recommend to anyone taking a trip to go there.